The eyes account for a large part of the expression of the human face; they project an array of emotions including happiness, sorrow arid fear. Yet the eyes themselves are virtually expressionless structures. It is the contour of the skin – the tissue, muscle, fat, hair and lashes around the eyes – that conveys expression. Wrinkles and deep lines as well as puffiness of the lids begin to develop with the passage of time. Exposure to the sun and genetic predisposition can also be contributing factors. The result can be marked changes in expression causing a tired and/or older appearance. These physical changes can produce anxiety and actual visual impairment. 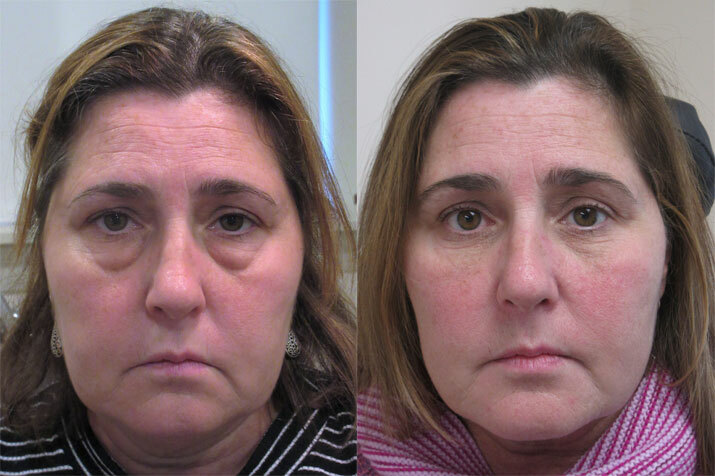 Today, several remarkable surgical techniques, including eyelid surgery (blepharoplasty) and brow lift, have been developed to eliminate many of these problems. 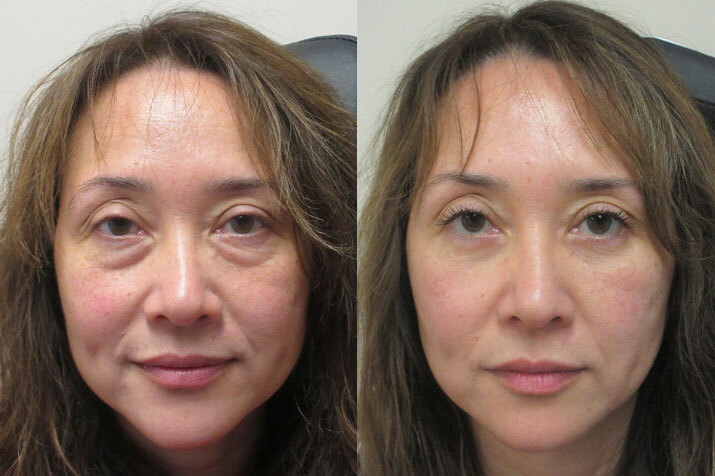 Blepharoplasty can correct sagging eyelids, pouches beneath the eyes and excess folds around the eyes. This surgical procedure involves the removal of excess skin and fat on upper and lower eyelids and is often done in conjunction with other surgical procedures including face lift, brow lift and forehead lift. Brow and forehead lifts are designed to raise eyebrows and reduce ridges arid furrows on the forehead, thus creating a smoother, more youthful appearance. 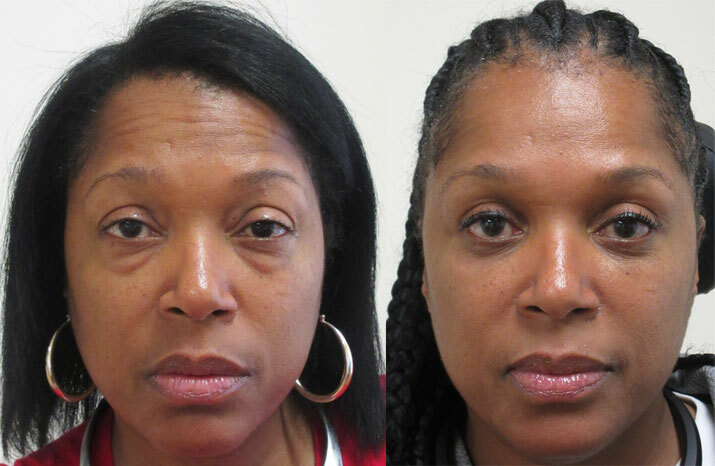 As with blepharoplasty, this procedure is frequently done in conjunction with other surgeries. Prior to surgery, a complete medical history is taken in order to evaluate the general health of the patient. A thorough examination of the eye and face is made to determine the most effective surgical approach. The amount, distribution and type of excess skin to be removed is carefully noted. The cosmetic surgeon describes the anesthesia to be used, the procedure, what results might realistically be expected, and possible risks and complications. An examination by an ophthalmologist may be recommended. Preoperative directions may include the elimination of certain drugs containing aspirin in order to minimize the possibility of increased bleeding. Antibiotics may be prescribed for a few days prior to surgery to prevent infection. The areas to be excised are marked and photographs are usually taken before and after surgery in order to evaluate the final results. Eyelid surgery can be performed in a cosmetic surgeon’s office, an outpatient surgical facility or a hospital, depending upon the surgeon’s and patient’s preference. It can be done under general anesthesia with the patient asleep, or under local anesthesia in which the area is numbed and the patient remains awake. Prior to surgery, premedication to relax the patient is administered. The cosmetic surgeon, following natural lines and creases, makes very fine incisions from the inner to the outer edge of the eyelid. In selected cases incisions can be made inside the eyelid. The upper eyelid is worked on first with the incision made in the fold of the lid. On the lower eyelid, the incision is made directly below the eyelash. Excess fat and skin are then removed from the underlying compartments. The amount of fat excised is determined by the degree of protrusion of fat when pressure is gently applied to the area. Small sutures are used to close the incision and special ointments and dressings may be applied. The procedure can take from one to two hours, depending upon the extent of the surgery. Antibiotics may be continued for several days following these eye surgeries. Sutures are removed within a week. Some swelling and bruising occur but subside in a few days. The cosmetic surgeon may prescribe ice compresses and/or eye exercises to reduce swelling and regain mobility. Women may be allowed to use eye makeup ten days to two weeks after surgery but are cautioned to cleanse the area thoroughly after each use. The cosmetic surgeon determines when normal activities can be resumed; however, strenuous exercise must be avoided for several weeks following surgery. After blepharoplasty eyelid surgery, excessive drying of the eyes can occur, but this condition can be alleviated with medication. There may be sensitivity to bright light and wind in which case the use of dark glasses is indicated. Sensory changes such as numbness and itching may occur during the healing process. Final evaluation may not be possible for several months following surgery. Complications connected with forehead and brow lift are relatively few and minor: however, there are certain inherent risks connected with every surgical procedure which should be thoroughly discussed with the cosmetic surgeon. Patients can minimize complications by carefully following directions given by the cosmetic surgeon.